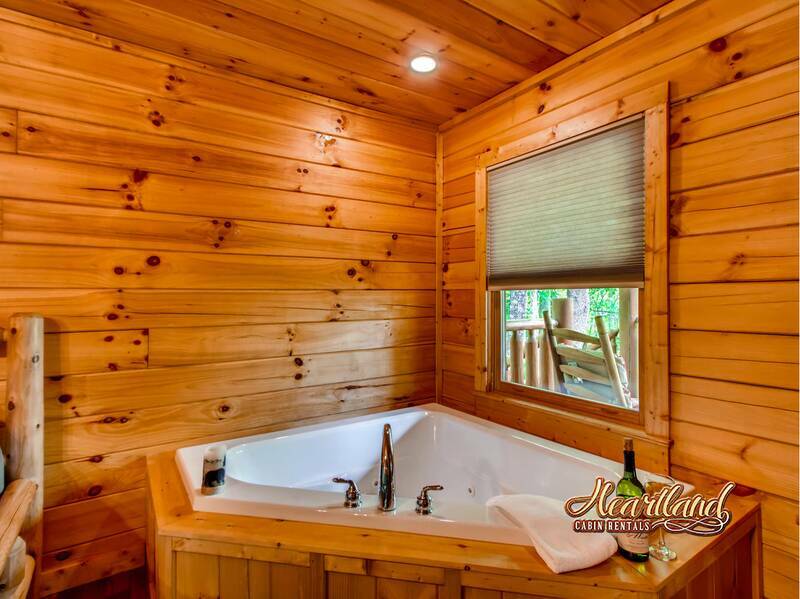 “Feels So Right” is a breath-taking cabin situated very convenient to all of the most popular attractions. 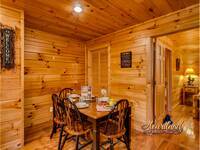 Feels So Right cabin is located between both Pigeon Forge and Gatlinburg. While staying in Feels So Right you will have access to everything you could want to make your vacation a memorable one. 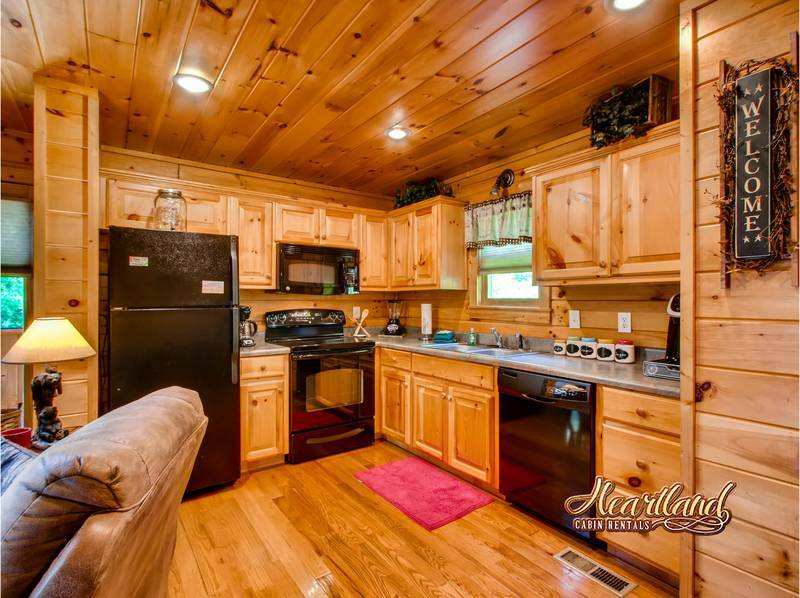 There is a large den which flows right into a well equipped kitchen with updated appliances. 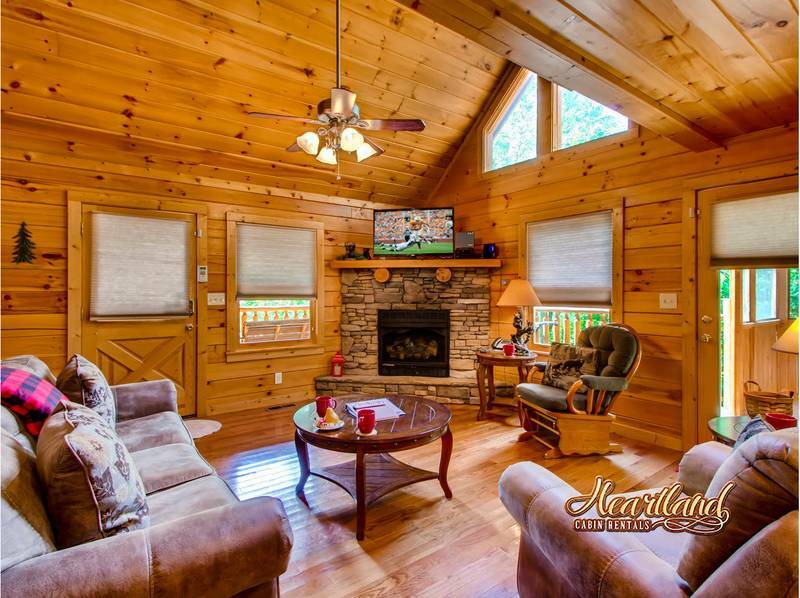 The living area boasts a stacked stone fireplace and a flat screen TV perfect for warming up after a long day of adventure and a sleeper sofa. Just off the living there are 2 large deck areas. Take a seat in some of the outside furniture that looks out into the beautiful, natural surroundings. 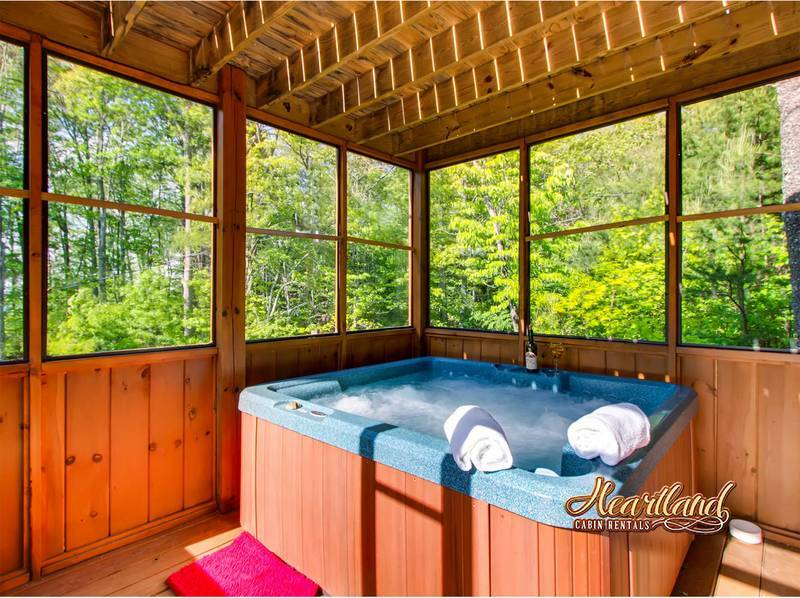 Step out onto the screened-in deck area that features a gas-grill and large outdoor hot tub. 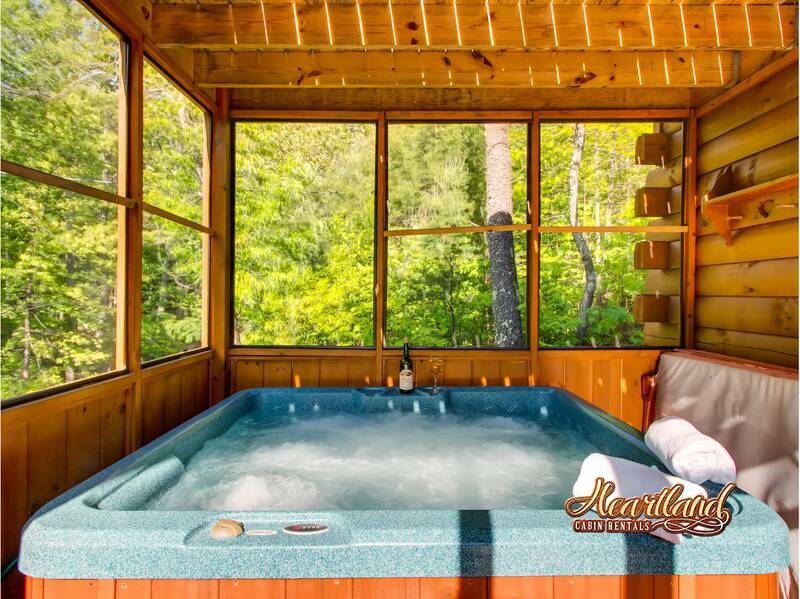 Nothing beats the smoky aroma of your favorite grilled foods while taking a dip in your very own private hot tub. 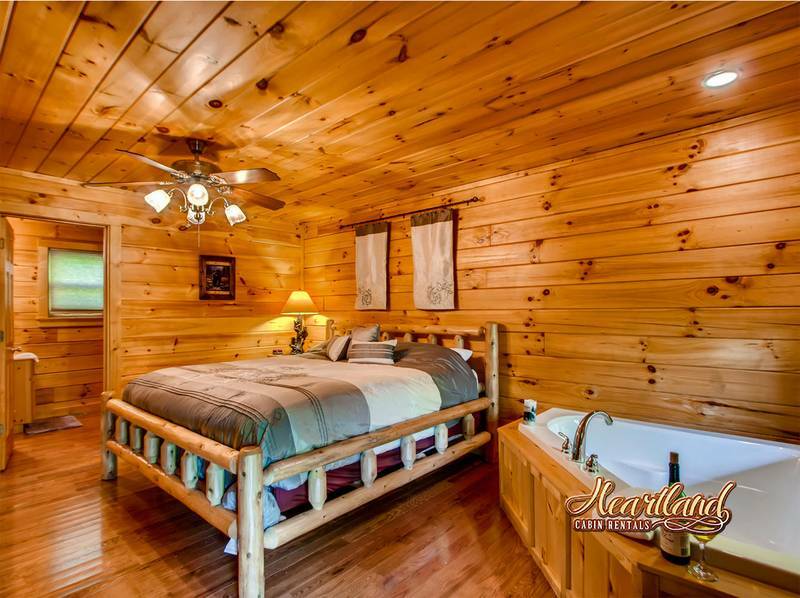 The master bedroom is also on the main floor and comes complete with a corner jet tub. 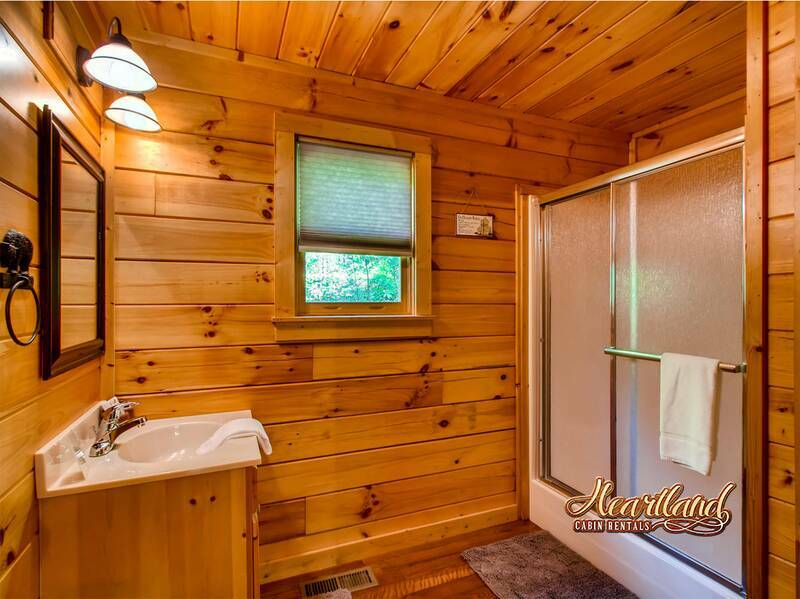 There is also a separate bathroom with a stand up shower for the convenience of the rest of your party. Step upstairs and you will find a pool table in the loft area which looks down on the den below. 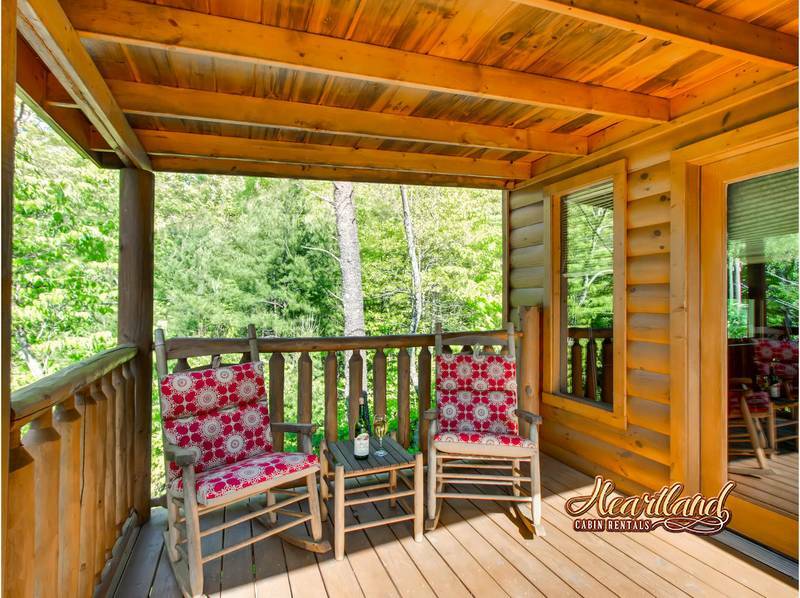 Just off this game room is a private deck with outdoor furniture overlooking a peaceful and quiet view. 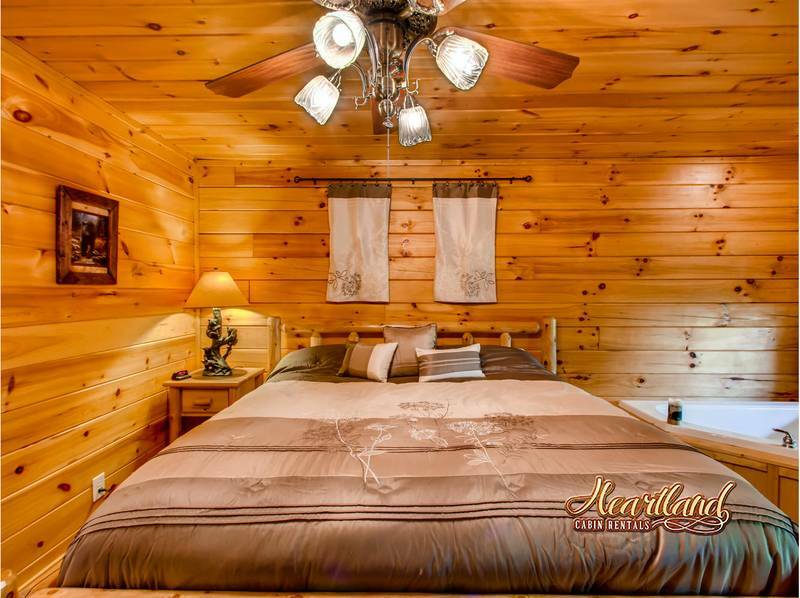 The second bedroom is also upstairs and private with a queen bed. Want to watch your favorite sporting event and play some pool with friends? Don’t worry, flat screen T.V. 's are featured in both bedrooms as well as the game room! Feels so right was just the right size for our family of 4. The cabin was clean and had everything we needed. We enjoyed the game room and front porch swing and rocking chairs. The customer service was great. They called us on our way in to town to let us know our cabin was ready early and that we could check in anytime. 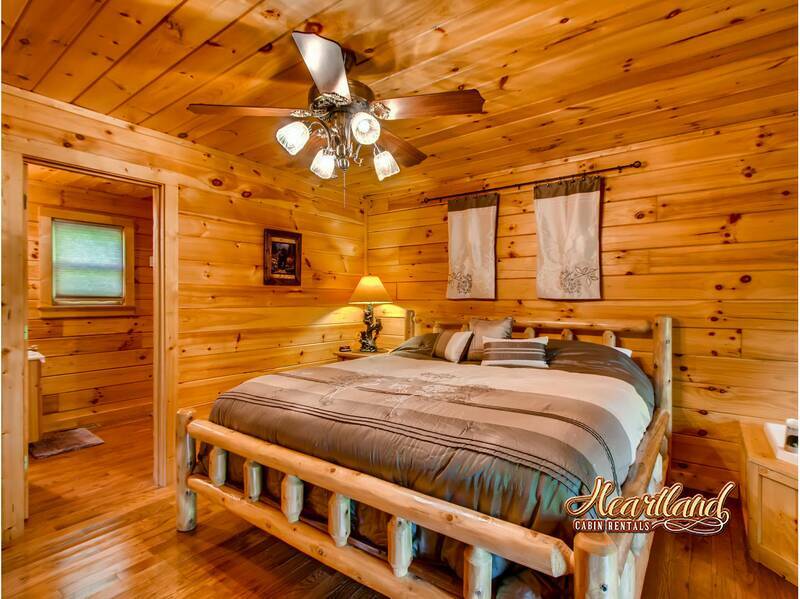 We would definitely stay in a Heartland cabin again! We cannot wait to come back.. The cabin was amazing and the location was perfect. Check-in was flawless. Casey was extremely helpful. The drive up to the cabin was harrowing to say the least due to the time of year! 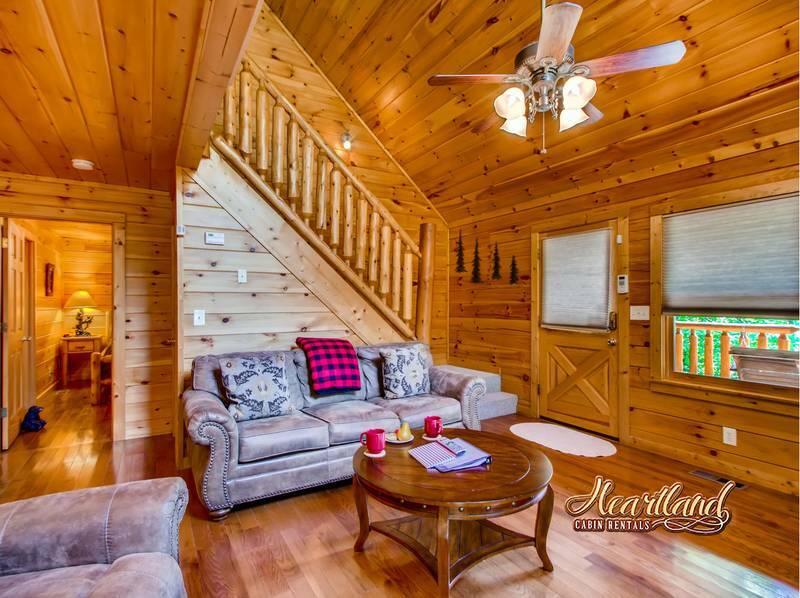 The cabin was beautiful, well-stocked and clean. It was very relaxing to get away for a few days. The reservation process was very easy. The office staff was very helpful and pleasant upon our arrival. The cabin was very clean and provided everything we needed. The only problem was being from northeast Ohio the drive up to the cabin was a little nerve wracking at first. 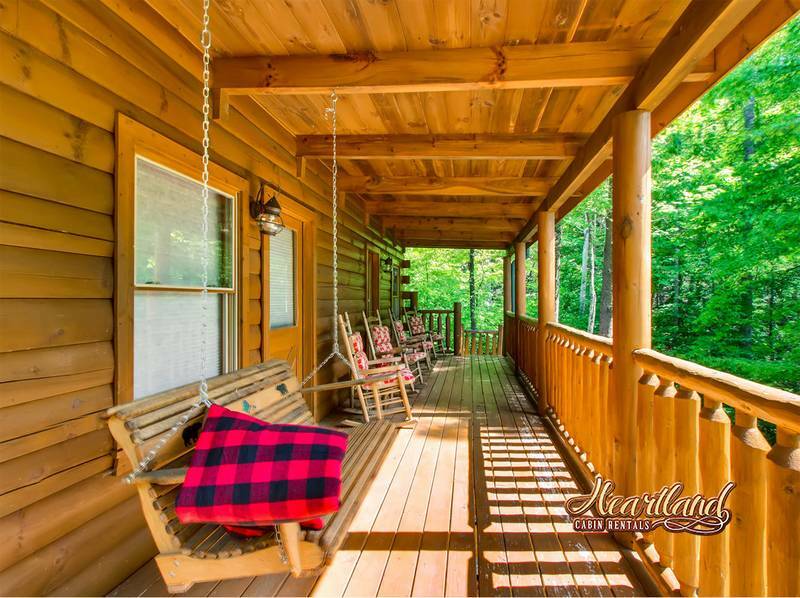 We enjoyed the quiet time and loved seeing the three bears at our cabin... the cabin was a perfect size and very clean and comfortable.. we enjoyed the swing and rockers in the porch.. can’t wait to come back in the future! This was an amazing cabin. 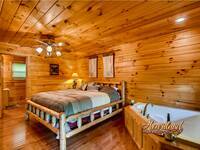 This cabin was great and comfortable, the place was so nice and hospitable. 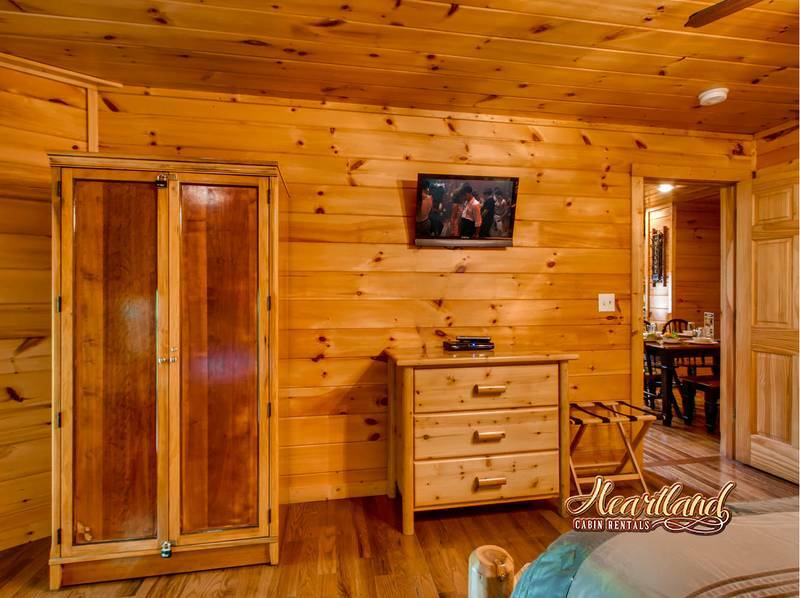 Cabin was clean and looked just like pictures. Very clean and great size for our family of four. We even saw a black bear with some cubs. What a great trip! 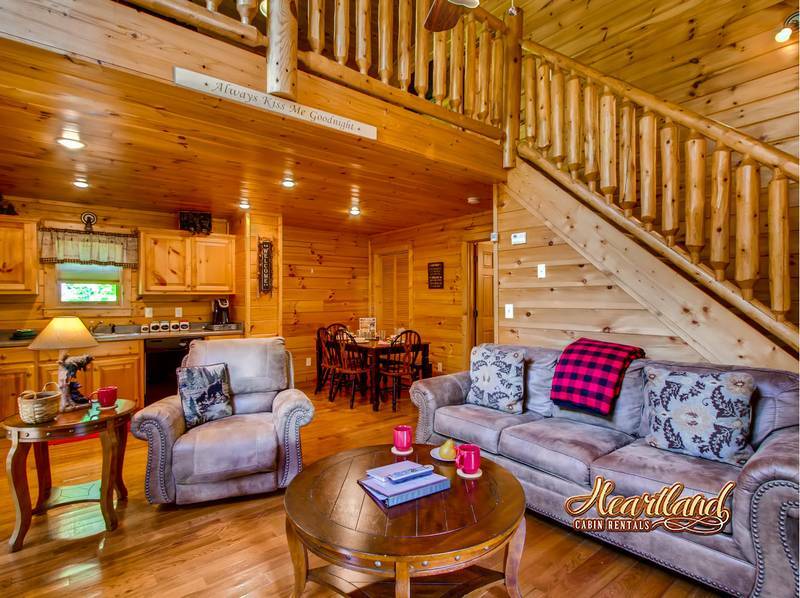 The cabin was very clean and had plenty of space for our family of 5. The driveway is steep but has a flat parking pad. We had such a relaxing, fun filled family vacation!! 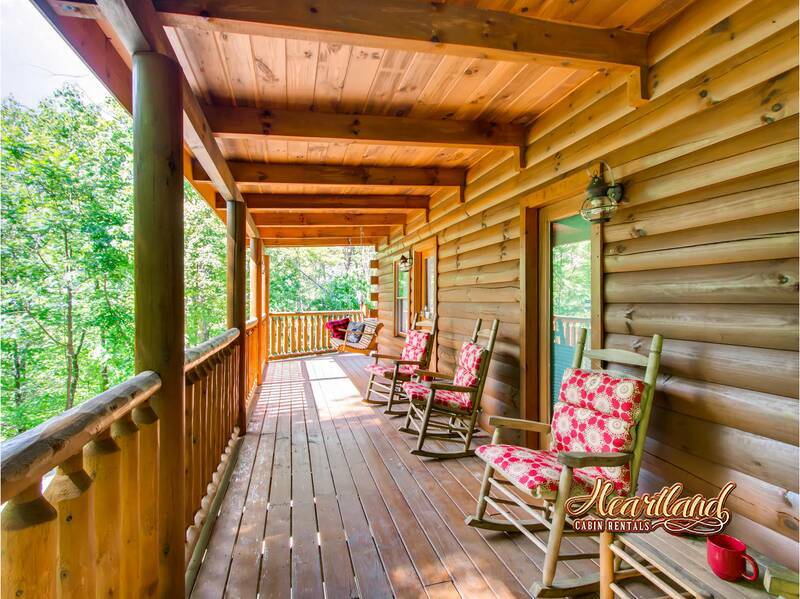 We loved the front porch to enjoy our morning coffee on and all the beauty that surrounds you! 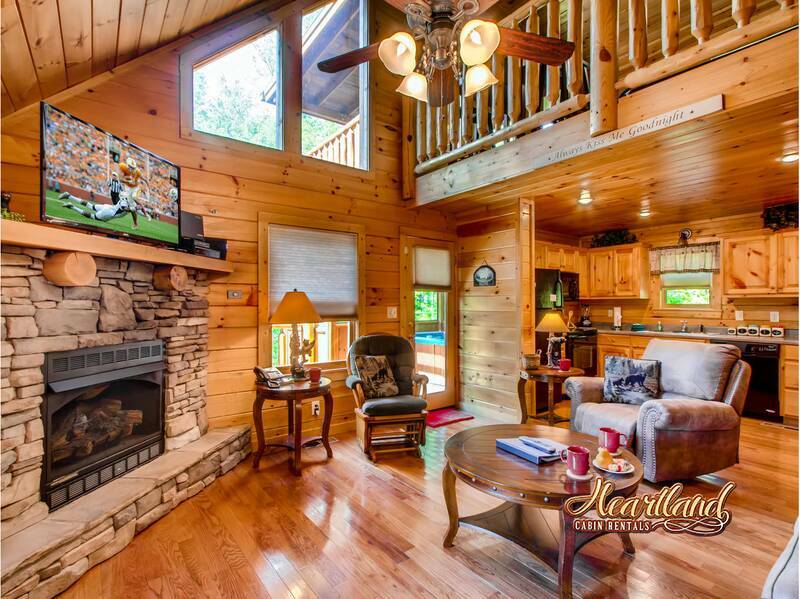 I love that your so close to all the action in Gatlinburg and Pigeon Forge yet secluded to enjoy nature!! We hiked to quite a few beautiful waterfalls ( Grotto Falls, Laurel Falls and Hen Wallow Falls) and truly enjoyed our time in the mountains and seeing 11 Bear!!! 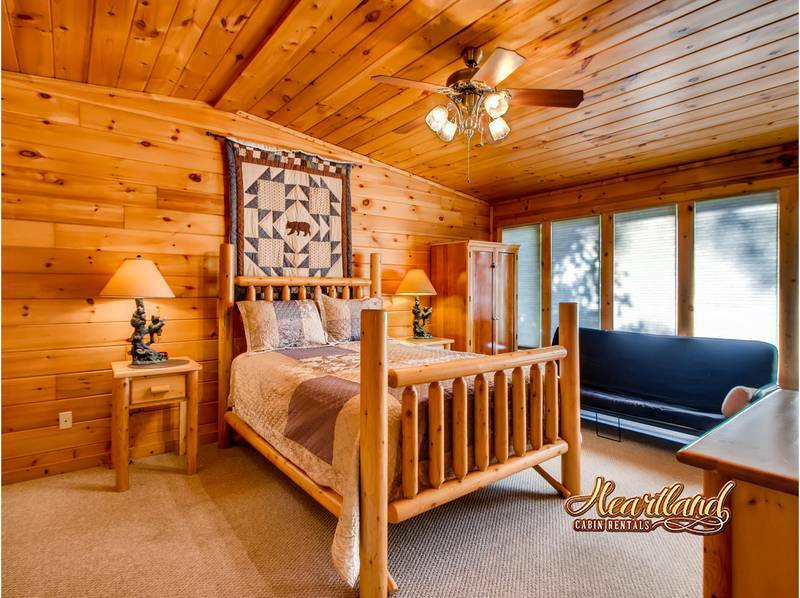 Such a lovely cabin to come home to every evening! We can't wait to return!! Thanks for all the memories!! 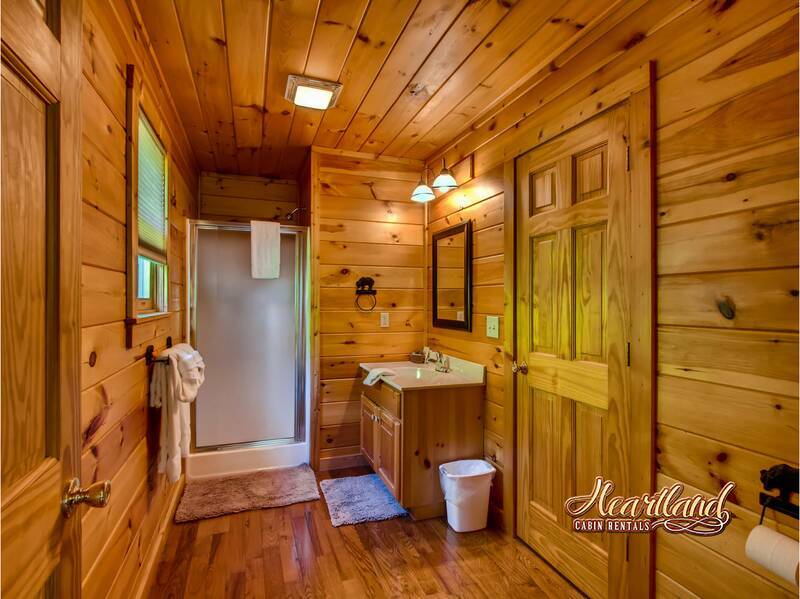 Nice cabin and clean, but could use towel hooks in the bathrooms, additional hand and kitchen towels. Great getaway for our family of 3. Cabin was warm and welcoming. 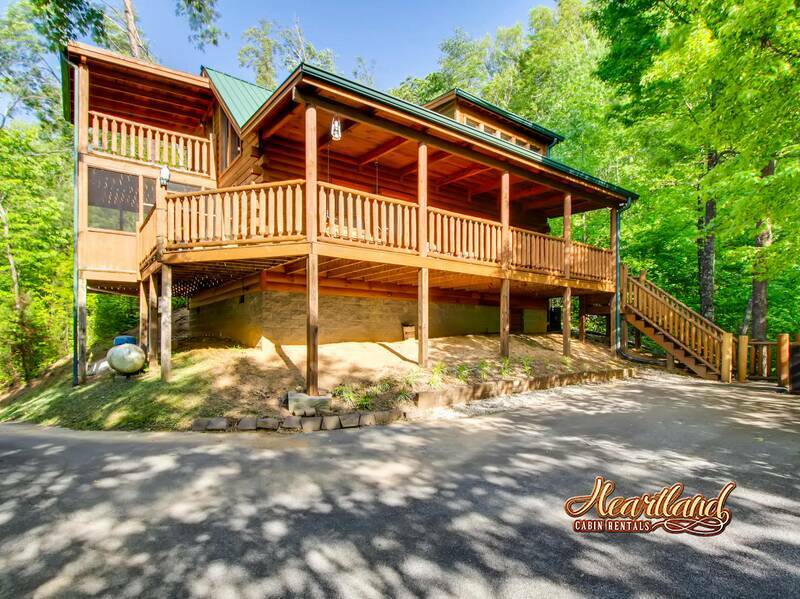 Convenient location for visiting either Pigeon Forge or Gatlinburg. We hope to be back soon. The cabin looked like the picture. It was very clean and well maintained. The staff was very helpful on check in. 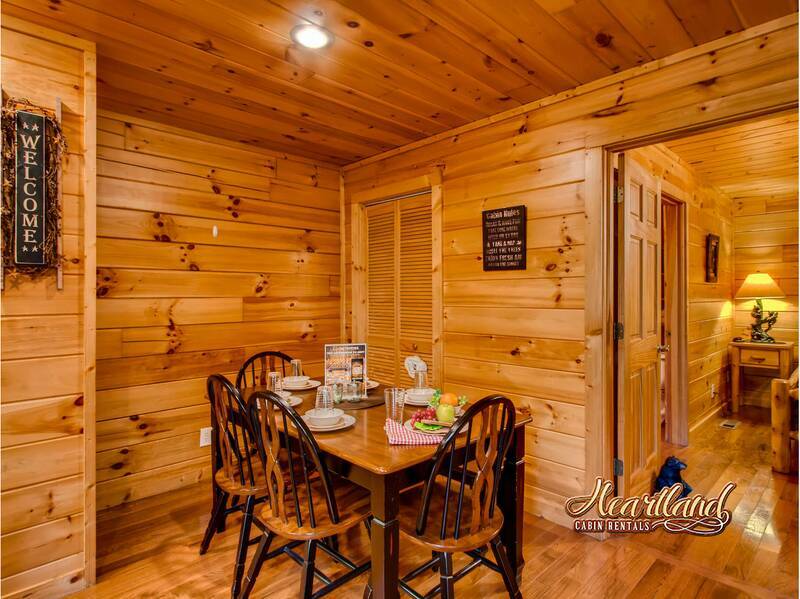 We have used Heartland for our last 4 visits and we plan on using you again on our next trip. We will rent a different cabin next time because even though it was very nice, clean and as advertised was a little too high up the mountain for us. We had a couples weekend. Cabin was plenty big enough for us 4 people. It was beautify and very clean. The view was amazing!!!! Will definitely use Heartland Rentals again. Cute, clean, and comfy! 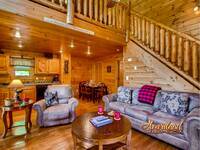 We enjoyed the multiple porches/decks and hot tub! The bedrooms were spacious and had comfortable beds! Very nice chalet! A great place to stay. Cabin roomy. Kitchen great. Spa great. Pool table great. View good. Information sheet great. Security great. WiFi great. TV Great. Management great.